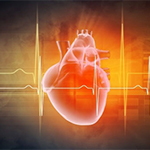 TUESDAY, May 13, 2014 (HealthDay News) -- Researchers say they've gained new insight into how stress and other negative emotions can raise the risk of heart attack and stroke. Previous studies have shown that stress, anger, anxiety and depression can boost a person's chances for heart disease, but how these emotions and heart health might be connected was unclear. In this study, the brain activity of more than 150 healthy adults was monitored while they tried to regulate their emotional reactions to unpleasant pictures. The participants were also checked for narrowing of the arteries (atherosclerosis) and for blood levels of a marker (an indicator) of inflammation called interleukin-6. A high level of inflammatory markers in the blood is a major risk factor for atherosclerosis and premature death from heart disease. The participants who had greater brain activity when trying to control their negative emotions also had higher levels of interleukin-6 and more signs of atherosclerosis. These findings remained strong even after the researchers accounted for other heart disease risk factors such as age, smoking and gender. The study was published recently in the journal Biological Psychiatry. "These new findings agree with the popular belief that emotions are connected to heart health," study first author Peter Gianaros, an associate professor in the department of psychology at the University of Pittsburgh, said in a journal news release. "We think that the mechanistic basis for this connection may lie in the functioning of brain regions important for regulating both emotion and inflammation," he added. The findings may prove useful in efforts to develop brain-based prevention and treatment methods to boost heart health and protect against heart disease, Gianaros said.